Why would I need self storage in Palm Desert, CA? There are a variety of reasons why you might need self-storage in Palm Desert, CA. How much is a storage unit in Palm Desert, CA? The cheapest storage unit in Palm Desert, CA is $135.00 per month. What size storage units do you have available in Palm Desert, CA? In Palm Desert, CA we have sizes that range from 5'x10' to 10'x15' to suit your storage needs. How much is it for a 5'x10' storage unit in Palm Desert, CA? The cheapest 5'x10' storage unit in Palm Desert, CA is $135.00 per month. Situated in California's Coachella Valley, Palm Desert is also just minutes from Joshua Tree National Park. Incorporated in 1973, the city has been the center of Riverside County's desert communities for decades. With a welcoming mix of resort properties, spacious homes, outdoor recreation and a diverse economy, Palm Desert is a highlight of Southern California. Palm Desert is becoming an increasingly popular vacation destination, thanks to its warm, sunny weather and long list of amenities. You'll find that there's plenty to keep you busy in Palm Desert, whether you enjoy the outdoors, shopping, the arts, dining or nightlife. The city's Art in Public Places program has installed over 100 different works of art throughout the community, so you're likely to see any one of the many pieces anywhere you turn. The collection includes large sculptural pieces, artistically designed bus stations, water features and more. If you'd like to see all of the pieces, the city offers a free public docent tour. The city is home to the McCallum Theatre for the Performing Arts, presenting symphony, ballet, comedy and theatrical performances. You can visit one of the nearby casinos for an evening of gaming, or grab a drink at a local pub. For a family-friendly experience, you can explore the local wildlife at Living Desert Zoo and Gardens. Palm Desert and the surrounding Riverside County are home to hundreds of large businesses in the entertainment, hospitality and health care sectors. The JW Marriott Desert Springs Resort; Pechanga Resort & Casino; Fantasy Springs Resort Casino; and Morongo Casino, Resort and Spa are the county's largest hospitality and entertainment employers. Desert Regional Medical Center, Eisenhower Medical Center, Hemet Valley Medical Center, Kaiser Permanente and Riverside County Regional Medical Center provide thousands of health care jobs in the area. In Palm Desert and the Riverside area, major industries include trade and transportation, government, education and health services, and leisure and hospitality. If you're looking for a job in the area, you're likely to find plenty of options within these fields. The Desert Sands Unified School District manages the schools of Palm Desert, including elementary, middle and high schools, as well as charter and alternative schools. There are several private schools in the city, with a balance of secular and faith-based campuses to choose from. Palm Desert is also home to College of the Desert, a large community college that offers a variety of study programs. Utilities: Palm Desert's local energy providers are Southern California Edison and Southern California Gas. The Coachella Valley Water District is in charge of residential water services. Garbage and Recycling: Your trash and recyclables will be collected curbside on a regular basis, with your specific neighborhood determining your pick-up days. Transportation: Golf carts are a popular form of transportation in Palm Desert, with many locals using them to get around to the city's shopping and dining destinations. If you're looking for public transit options, SunLine Transit Agency facilitates a network of bus routes in the city. The most affordable homes in Palm Desert are typically in the southwest corner of the city, near the Bighorn Golf Club and in the northwest corner of the city, near the Palm Desert Greens Country Club, Suncrest Country Club and Santa Rosa Country Club. Palm Desert's priciest homes tend to be in the center of the city, near Living Desert Zoo and Gardens, Ironwood Park, Marrakesh Country Club and Indian Ridge Country Club. When compared to many of California's cities, Palm Desert is fairly affordable. The median home price is higher than the national average but far less than the state average. You have a variety of housing styles to choose from, so you can find something to fit your budget and needs. 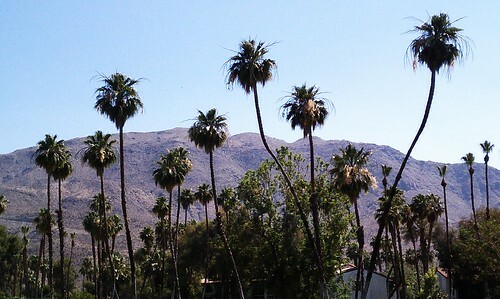 Our lowest priced units in Palm Desert, CA average $135.00 per month. 35 people have reserved units in Palm Desert, CA in the past 30 days. There is 1 location within Palm Desert, CA's city limits. There is 1 location in Palm Desert, CA that offers AC and Heating features.